Ariel is very professional guy and very good in his work. In fact my agent even go beyond what supposed to be expected of him. He even accommodate my messages and questions even with his personal time. He help us a lot since the start and even recommend trusted people to complete the process. We are so grateful of him, he give us a lot of valuable information especially for us a new buyer. We will definitely recommend my agent to our friends and co-workers. Thank you so much we value his help and service with us. Certainly we got the right guy. Truthfully, we were not looking for an agent. We technically already had one, but my boyfriend and I were looking around at houses on our own. We found a house we wanted to look at and called the number that was attached. That’s were Ariel came into play - we called his number. He happily showed us the house that day, along with 3 other houses! We decided that the other agent wasn’t giving us what we needed and found that Ariel put all of his efforts into meeting with us to find our perfect home. Ariel was helpful since the start. This was our first house and we didn’t know what to expect - Ariel walked us through each and every step. He gave us his honest opinion but also gave us the space we needed to discuss and consider each property. He dealt with both sets of parents and happily took the time to see some properties several times. Even when we found a house we loved, it unfortunately was sold to someone else, Ariel was determined to find something better. We love our house. It knocked off all of our must haves and more! We truly appreciate the effort throughout this process! Thanks Ariel! Great guy, makes our new home purchase so easy and comfortable, also he is available as per our convenience. He answers all new home purchase related question so nicely and makes our whole experience amazing. Provided us with a WOW service with a great smile on the face. Thank you Ariel Buenaventura. Ariel Buenaventura was professional at all times. He gave us Market Evaluations on the property we wanted to sell, by showing us similar homes sold in the area. He was truthful on what he thought a realistic price the home would sell for. The whole process was fast and efficient and we came very close to what we thought the house would sell for. 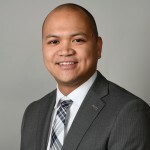 We would highly recommend Ariel Buenaventura for all your real estate needs.